Currently i am in US now with B1 Visa. I came here before 2 months in the month of May 2016. In the meantime i got H1 B and it was petitioned. I will be going for H1B Stamping in the month of Oct or Nov 2016. my employer is asking me to stay in B1 Visa for 4.5 months till Oct 2016 1st week. 1. If i am staying for 4.5 months with B1 Visa, is there any problem during the H1 B stamping in Consular. 3. if i got H1 B stamped with out any problem and travelling to US with H1B, will be there any problem in immigration. if so what i need to do. 1, 2. It may become an issue. Consulate and USCIS closely look at cases where person stayed for more than 3-4 months in US to understand why they did so. I read a case where H-1 (or was it F-1) stamping was denied b/c the person stayed for 5 months. 2. Your H-1 has been applied w/ consular processing, correct? So why you want to stay for 4.5 months in US? Do you really have a reason to stay? I have an approved H1B work permit for FY2016 (approved on 30th June 2015). It is valid till 2018. I haven’t got VISA Stamping done yet. I plan to switch to another company in India. Do you see any issue in getting my H1B Work Permit transferred from 1st company to 2nd company? What should be the process I should follow so that it doesn’t get stuck up. I don’t want to end up losing my H1B due to some mistake. Find an employer and ask them to file cap-exempt petition for you. They would need copy of current approval notice for this. Once approved, go for stamping and then travel to work for the new employer. My case was approved on June 29th 2015 but due to my employer delay(Because I applied through my employer with my own money) I was unable to process further to get stamping done. Now I have the required documents , As my company showing as internal project and moving on that from Inida to US (Internal project ) which will end in October 2018 as per petitioner document . Now here my question do I need to update all/below my documents for interview with latest dates ? and what are the reason I can say for this delay ? 2) Petitioner document which all showing project start and end date. Could you please give your valuable inputs which will help me to save my money. 2. Yes, get updated project documents with new dates. If the location has changed, then get new LCA and H-1 amendment done first. You should reply truthfully to all questions related to travel delay. I am working for an MNC A in India. My H1B was applied last year through a small company B last year and I got my visa in Oct 2015. It is valid till Sep 2018. Because of some personal reason I could not join in company B and travel to US on H1B. Also I traveled to US in Jan 2016 on B1 for training and KT though my employer A. I stayed there for 3 months and returned back in Apr 2016. Now I am planning to travel to US on H1B to join in company B in Oct 2016. 1. Will there be any problem in POE as I am going to join in the company after 1 year. 2. Will they question about my earlier B1 travel and 3 months stay in US. 2. They may ask for the reason for travel. Reply truthfully. You had valid reason to travel and stayed just for 3 months; so you should be ok.
My H1B was in CASE Received status.My Question is Company A (US consultancy) sponsored me with some conditions like X years contract and some Y% of bugs once I get a job. 1)Is it a good idea to change my petitioner from Company A to Company B? 2)If so when can i apply for transfer and how? Company B(India) is offering me a permanent position over US(Parent Company B) if I have H1B in hand. 3) Comp A will com to know about my transfer and is there any chance of stopping my VISA Process? I have not signed on any contract papers till now for company A. Please suggest me.I will be waiting for your answer.Thanks in Advance. 1. I can’t say whether it is a good idea or not. That’s what you have to judge based upon the 2 offers. 2. B can file cap-exempt petition for you as soon as A’s petition gets approved. 3. A wouldn’t know about B’s pending or approved petition. You can travel with your current company documents but this would be a “risky” as there might be questions about your current H1 B Sponsor company, job you do, location etc at the port of entry. There are chances that USCIS might even call the employer and check about you. And imagine a situation where the current H1 Sponsor employer is not aware of your travel and other things and might respond incorrectly to the USCIS officials putting them in a suspicious situation. Ask your new employer if they can transfer the H1 even before your travel. My company is delaying my travel to US. And now my expiry is on October 28 2016. I have got an offer from Mycon information systems, they ask me to travel from through my current company documents. They will provide me with accommodation for a month by which time I can get a job and then they will start for my h1b transfer. Can i take this risk ? Can this be practically done ? Don’t do that. DO NOT USE your H-1 for travel unless that H-1 employer wants you to travel to US for them. If this new employer wants to hire you, ask them to file H-1 while you are outside US. The new employer doesn’t know the rules and is asking you to take a big risk. He has given me an offer letter, he said once we find a job for you we will initiate your transfer. Will there be any problem if I stay there for a month without Salary ? Again, DON”T DO THAT. You should not enter on an employer’s petition unless that particular employer wants you to work for them in US. You are opening a box of pandora by entering this way and staying w/o pay for a month or so. KKR, how do you know that your petition was approved? Did you receive the i797 document from your employer? If so then don’t worry USCIS is sometimes late on updating the status on the website. Also I assume you had a RFE on your case and your employer responded to it with supporting documents. Yes, I receive i797 document from your employer and also status updated in USCIS for the same to Approved, Then after status changed to “Correspondence Was Received And USCIS Is Reviewing It”. My case was approved on November 23, 2015 and On July 8, 2016, I did received status change in USCIS to “Correspondence Was Received And USCIS Is Reviewing It”. What it mean? Did you appear for stamping in b/w? Was 221g issued? Did you check w/ employer about this? 1) Once I get petition papers, can I change my India company and future company can arrange me stamping. Is it possible? 2) After stamping from my current company, Is it possible to me to switch to other Indian company and can I travel from future company with same H1B VISA? 3) Generally how long the Petition paper is valid? I mean can I use same this year petition papers for next year or do I need to again apply for H1B applications. 3. New employer can typically apply for new petition within 6 years of original approval date. Is this realistic? or just a reference. The H1-B or I-129 category for Vermont location supposed to be done by now for all. Could you tell about this. 4) though my client/location chnages, can I still go ahead for stamping with old LCA and get updated LCA at the time of travel? Please suggest. New LCA is required if the location changes (doesn’t matter client is same or not). If the new location is not in same MSA, then new LCA and H-1 amendment is required. Thanks. What is MSA ? Is it my project contract agreement document ? Typically how long it takes to get H1B amended. 1) How long for H1B amendment? 1. You can check the processing time on USCIS site for your service center. Typically it is 2-6 months. 2. There is no LCA amendment but a new LCA filing. It would take couple of weeks. My H1 Visa got approved, and now I am planning to go to US to my friends city to stay there for some days instead to my work location. Can you let me know will there be any issue at POE because my work location in client letter/ LCA is different from the place i am travelling, What are the chances of getting through at POE? Is it worth taking risk or should i book flight ticket to my work location also and go to my friends place for some days and show ticket as proof at POE? The recommendation is to travel to work location and then travel to friend’s place later. However, if you do plan to land at friend’s location be ready to answer possible PoE questions around it. In such a scenario it would be better that you have domestic flights already booked to work location. 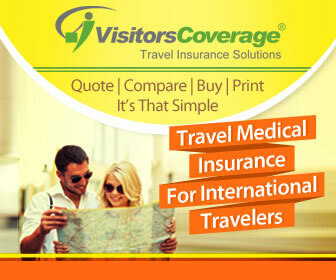 In addition, your employer should be aware of this travel plan. How long do you plan to stay at friend’s place? My employer is already aware of this. I am planning to stay for 2 weeks. Do you see an issue here? 2 weeks should be ok. I completed Masters from School ‘A’ in USA in Dec 2014 and joined School ‘ B’ in Feb 2015. I got through H1B lottery in April 2015. It went to RFE and got stuck in security check now. My I-20 from School ‘B’ is valid till Jan 2018. Will my case come under ‘Cap Gap’ automatically ? I don’t want to attend my School ‘B’ any more. Can I continue to stay in USA pending decision from USCIS for change of status from F1 to H1B as my H1B petition pertains to School ‘A’ and not School ‘B’ ? You are not in cap-gap as you are still studying at B and have a valid I-20. Cap-gap is invoked only if your I-20 has expired and H-1 petition is still pending COS.
After long waiting of my RFE, I have below status on my application. I didnt check in last two months I dnt know in that time what happened. What exactly the below status says ? When did the employer reply to the RFE? I got my H1b approval notice on March 2016, My petition validity is only till Oct 2016. Will there any questions or issues due to my petition validity. They may ask about the approaching expiration date. You can say that approval process took time and the employer plans to file for extension soon after. I have attended my Visa Interview on Jul-8-2016, and it was approved. Today i checked that my visa status in CEAC and it shows “Administrative Processing”. How to get the reason why it is in Administrative Processing. It could be for various reasons and one can only guess here. At times, they are trivial and get resolved within few days. I have a stamped visa in hand, if I do h1b transfer with another employer do I need to go for stamping again ? No new visa stamping is required due to change of employer as long as old visa stamp has not expired and has not been marked as canceled in the passport. Is Mycon a good company for h1b transfer ? My h1b was approved for one year and expires on October 28 2016. Currently my organization is processing Amendment for Chicago. Is there a timeline in which I have to travel to US so that I can extend visa . E.g . Like I have to travel 2 months prior to expiry so I can extend visa after reaching US. Is there any minimum time for applying extension after reaching US ? E.g. Like I have to apply for extension before one week or month before expiry ? 1. Check w/ your employer if they have applied for extension along w/ amendment. I would expect them to do so as your current petition is expiring in next few months. You can enter even 1 week prior to petition expiration date provided your employer has all the paperwork ready to apply for extension soon after you land in US. 2. Extension needs to be applied before current petition expires (when you are inside US). If you are outside US, then extension can be applied even after current petition expires. can we extend the petition after expiry when I am in india ? Extension is a cap-exempt petition. Any petition like extension or transfer which doesn’t go through the cap is a cap-exempt petition. So they all mean the same thing. Anyone from infisystems llc waiting for approval for last year petition? ?….If yes, please reply. Not from Infisystems, but waiting for approval after RFE response Since oct 2015.. Yes. Me too in the same situation. No updates yet. Let’s all collaborate and put pressure on employer.Plz text me. Let’s all collaborate and put pressure on the employer.Plz text me. How much time it take to receive the documents after getting H1B approval. It simply means they are in receipt of your RFE documents and they will start reviewing it. It takes time for non premium petition to get updated on USCIS website. Can you please tell me from when 2016 cases approvals will be started? Mine is Normal Processing thanks. Processing has already started and few have received approvals under RP. You should see movement on your petition in new few weeks or months. No SLA though. If others are waiting as well, then most likely it is stuck in security check related to your employer. I need. One information from u. Last year rfe still in a pending case. Probably stuck in security check. June 26 has passed. Did employer follow-up again? Do you know if other selected petitions from this employer are approved or still pending. My H1 was approved in Sep 2015 but I did not go to visa interview due to some reasons…Now when I check the visa appointment wait times it says 108 days …Do I really have to wait for 108 days or am I wrong ? Please advice. Also will there be any problem at the visa interview for waiting soo long ? Im really tensed. You can check available PA date with below link. Thats not my question bro….Im not asking for the links…Thats where I checked too. The dates are pretty backlogged in India. So you have to wait for those many days to appear for visa stamping. Visa stamping can go either way depending upon your case and related information. It is not impacted by how long you had to wait for your interview date. So will the start date be 2016 or would it still be Oct 2015 no matter when I get my appointment and visa stamping done ? The visa stamp’s start date would be the actual date on which visa stamp is approved. The end date would be same as your petition end date. You are not losing anytime. On H-1, you can continue to apply for extensions and transfers until you have spent 6 years inside US on H-1. As you have not travelled to US yet, you still have 6 years of H-1 left irrespective of when stamping happens. I request you to kindly read the below carefully. Are you sure the Visa Stamp’s start date would be the day I go for the interview and pass and not the petition start date ? Does counting of 6 years starts from the interview date (Start Date on Visa Stamp) OR the day I step in the US OR the petition start date ? That is true if the petition is starting in future. Let’s say if you appear for stamping in May 2015, then the dates would have coincided. They are not going to backdate the visa just because petition approval date was in the past. 6 years include only the time spent inside US on H-1. So it will start the day you land in US, and stop/pause the day you leave US. Thanks a lot Saurabh…How do you know soo much are you an attorney ? And even if I appear for interview in May 2015 the Visa Start date would still be Oct 1 2015 . But If I appear for interview in July 2016 the Visa Start date would be July 2016…. For Question# 4, an expert attorney on immigration can answer it. I’ve seen cases where people have filed H1-B before 1 yr cooling off period and now working/staying in the US without any issues and concerns. I think most of queries you have already been answered. Anyway, for your clarification here it is again. 3) You can stay for another ~3 yrs plus anytime that you spent outside US during your first 3 yrs of stay in the US on L1B. 4) I think you mean May 2017, in that case also you will get ~3 yrs on H1B, please see Saurabh’s reply to my post below. You will get only 3 yrs because you applied for H1-B before cooling off period of 1 yr and clock didn’t reset, that mean you have to wait for complete 1 yr before starting the process again to get full 6 yrs. 6) Yes, you can travel back and forth. Matter of any trouble is questionable and it all depends on CBP (Customs and Border Protection) officials. Usually, they don’t trouble anyone without any reason. So, in overall you can’t get full 6 yrs with your H1-B and your best bet is to get the stamping and travel by end of Sept-2016 rather than waiting till May 2017 because you will get only ~3+ yrs to stay no matter when you travel with new H1-B. One Question: I stayed in US for 3 years on L1B and awaiting H1B stamping in India. If I travel with H1B and gap less than 1 year from my last stay in USA, how long I can stay? also if I travel after a gap of 1 year, how long I can stay in USA. If any company files GC for me, then I long I can stay? Thanks in advance. 3 years. Better stay back and complete 1 year out of the US if you are almost there otherwise you will be allowed to stay for 3 years unless your employer files for greencard. If you come back to the US after 1 year of your stay outside US then you have full 6 years. Thanks, Say I came back to India after 3 years stay in USA with L1B VISA on March 2016, and if I get my H1B VISA by October-2016 and travel back USA (8 months gap in India), Will this 8 months also considered as part of total 6 years permission? 1) Total 6 years means March 2019 or March 2019 – 8 months (india stay) = May 2018? Also, if company applies GC, then how long I can stay ? 1) Is it till GC is approved? 2) Or is there constraint like I should not travel back to India till GC is processed (to keep GC application status valid)? Please clarify, thanks in advance. 1. Only time spent inside US is counted. 2. There are several stages of GC process. If PERM is pending for more than 365 days or PERM is approved but I-140 is pending, then you can get further extensions in 1 year increment. If I-140 is approved, then you can get further extensions in 3 year increments. As Suarabh said, time spent inside US i.e. you can always recollect the time you have stayed away mean the time you spent in India for a month vacation and so on. 3 years mean 3*365 days. 8 month time you are staying away and it is not counted towards H1-B. Since, you are already out of the US for 8 months, I would suggest spend 4 more months and get full 6 years in your hands unless you are in hurry and stay Happy :-). One correction to your post – the clock is not reset if his H-1 was applied before 12 month cooling period was over. The clock is reset only when H-1 is applied after staying outside US for more than 1 year. I’ve seen cases where people have started H1-B process before completing 1 yr cooling off period, got through everything and working without any issues in the US. So, it is a matter of clarification and may be some Attorney can answer it correctly. There was one case in this filing season, where RFE was issued for this reason. Yes, in the past I have seen instances when this was not the case, but more recent experience says otherwise. I’ve seen quite a few cases in 2012. If that’s the case then people who are already in the US and their greencard is under process, then they might face the heat from USCIS about their stay. I’m saying so because of the stringent scrutiny USCIS is doing now a days. I applied for H1B this year(2016) , however , based on reply from Consultancy through which i applied , my petition is rejected,didnt got through the lottery. I want to know if that is really a case , how can i know? Do i need to ask the employer for the rejected letter from USCIS? Yes, you should ask for the rejection letter. Sample rejection letters have been uploaded on this blog (see latest article from Kumar). The letter should have your name, employer’s name etc. Ok , looking at the H1B fees blog here , it appears i was not asked the right amount require of Visa filing and it made me suspicious if they forwarded my candidature for lottery . Can you tell me other than rejection letter what else is returned which i can enquire with the consultancy! The package is returned which contains rejection letter and other documents submitted by the employer. The only letter added from USCIS side is the rejection letter and so looking at it would make it certain that the petition was applied but not selected. 3) If I travel to USA with H1B on October 2016 (after 7 months spent in India), How long I can stay in USA with H1B? 4) If I travel to USA with H1B on May 2016 (After 1 year spent in India), How long I can stay in USA with H1B? 5) If PERM and I-140 both are approved, then can I apply H1B extension multiple times till GC is approved? 6) while PERM and I-140 are approved and H1B extension also received, during this period, can I travel back to India and come back Or will there ne any issue at POE? 7) What is typical/average timeframe for BE graduate to get PERM and I-140 approval? 7. Preparation work for PERM could take 6 months, PERM processing would be another 8-10 months and I-140 processing would be 4-6 months. You can take it as a 2 year process. Need help: My L1B extension was denied April 2016 (stating specialized skills not meeting criteria), However my H1B lottery got picked and waiting for Approval notice. Does my L1B extension denial will have any impact on my H1B process or is it totally different. Please suggest and till what date approval process goes on? L-1 extension denial will not impact the H-1 petition. Are you inside US? If yes, then you would have to leave US once L-1 is denied. You can return on stamped H-1 visa around Oct 1. Thanks. I am already in India now. What is timeframe to get approval notice from USCIS for H1B as actual working will start October 1st onwards. Does this approval process goes beyond October? Also as L1 extension was not through, should fill any form asks if previous visa rejected as Yes or just No. As L1 visa was through but not extension. Also I am putting same skills/role whatever I filled in L1B application. Please advice. Most of them will be processed by Oct, but there is no such SLA. So some may get delayed beyond Oct, especially the ones which have RFE issued. When completing your DS form there is a question asking about previous visa denials/refusals. Answer to this should still be No if just your L-1 petition was denied but not the visa stamp. However, if any future employer asks about past denials, then you need to tell them about this one as well. Thanks a lot Saurabh Sir, Your portal and clarifications are really very helpful. Have a nice day. My H1B visa got approved on Nov2015, but my company(US Employer) has not sent for h1b stamping due to lack of projects. They told to wait till the situation comes to normal. What are the options I have now apart from wait and watch? a. Can I know for how many years this H1B is valid without stamping.??? b. Is there any other option to enter US?? c. can I apply for H1B transfer with a new employer now? 1. That particular petition is valid for the period mentioned on 797 doc. Usually it is 3 years but could be 1 or 2 years as well. Hi anyone got reciept from logic planet for this year and any one h1 b visa got approved from logic planet last year. They are not responding to emails. My case is from last year and in RFE status. I just got to know from some other consultant that we can get to know that status update through attorney in case the consultancy is not responding . And once selected in lottery it is cap exempt and can be transferred to other consultancy. Is this correct? You are eligible for cap-exempt petition only after the initial petition has been approved. If it is still pending, then you are not eligible for cap-exempt. My case H1B got picked and RFE for projected related query but it was insufficient so that it got denied. Can I apply/resubmit with another project with current employer? Or how can I go through it when my case is denied for project related RFE? Your employer can either file an appeal/MTR against the original decision, or apply next year in the cap. You are not cap-exempt and so another employer cannot file a petition for you this fiscal year. 2) I will respond to my H1B RFE by this week , if it gets approved do I need to change my employer to employer B ? or else can I continue working with my employer A until october 1st 2016 ? I am also in the same boat. I am with employer B on opt ..but employer A has applied h1b and is pending. Can I apply for cap gap with employer B? 4. You can do that. Wouldn’t A come to know about B’s H-1 once you move to cap-gap as they would have to get updated I-9 from you. Was this being filed this year? is it for last year we are also waiting for last year. if it is last year can u write to us the consultancy and what was the rfe and when did u submit ur rfe. My case is also from last year and in RFE status. Did you find out any way of transferring to other consultancy, or getting status update through attorney or something? You applied through which consultancy? Can I go to Colombo or Dhaka consulate for H1 appointment? I got H1 approved last year Nov 15 , I’m in India and now I got the project but not able to get the stamping done before Aug as appointment slots are not available . But I’ve 10 years BI multiple USA visa valid till 2024. Can I go there and then start the project on H1? Do not travel on B-1 if your intent is to work on H-1. Keep checking dates and maybe something will pop-up. Some folks are also exploring options to appear in Dubai or Colombo, but I don’t know if they have been successful or not. I appeared for visa interview from Tringapps. Unfortunately I got 221g white slip asking for detailed project document. Is there any one who applied by Tringapps and got 221g. If yes, could you pls tell how long they took to submit the documents. ANd what is your status now? Me and one other guy are in the same boat. If you wanna connect, leave some dummy email in comments which you use. Please drop me a test mail…. I have sent you an email. Please check and reply on the same. Anybody applied for H1B through Collabera and got any update? I received the receipt number from my employer last week when I checked it in the USCIS it is showing status as RFE. How would I know that receipt number is mine or not….coz he is not sending the scanned copy of receipt number….any suggestions…. There is no way you to find whether the receipt belongs to you or not unless you have the receipt notice. You employer is the one who should be providing you with a copy of it. Don’t believe Ardent Technologies INC, this is cheated consultancy for H1B. This consultancy having branches in India. From India Subba Ancha(91-7702840596), From USA Jasti point of contact persons. Recently one incident happened, Recently some persons travelled to USA, in the board of entry immigration people are questioned about ardent and immigration team tried to call ardent technologies people but ardent not responded and those people again came back to india, and also whatever given documents those are fraud. So dont believe these stupid people. But how come ur H 1b visa got approved. Before approving H1b visa it is their duty to check. Yes it is approved, but after approved travelled to USA, In the immigration team are questioned about Ardent technologies INC, we provided all the documents to immigration team, after that immigration team tried to call Ardent people, but they are not picked the calls, before travelling we informed to Ardent technologies people, even if we informed they are not responded to immigration team. Once we came back to India we tried to call vas appalaneni(Ardent CEO) so many times and we sent a mail to so many times, still now they are not responded. Here(India) we worked in MNC’s and once it is approved we resigned current company and travelled to usa and at the same day came back to India. This is very critical situation. 10 days back again one of the persona travelled to usa, and again immigration team are questioned and tried to call ardent technologies, then ardent responed but ardent people told to immigration team right now we dont have any openings for suitable openings for him/her. Now think about in my place how is situation. Yes malathy i agree your point but approving visa team is different and immigration team is different. Dont think once visa approved means reached to USA, the main focus is have to clear immigration round. But your employer having any issues or any bloked list immigration team found that one. Here am wondering ardent technologies inc people are telling dont have any branches in India, but i found one of the branch is there in hyd that consultabcy name Ardent technologies(Hafeezpet, Hyderabad). I given contact number bloody idiat subba ancha delaing india branch, Both are same. The main focus is ardent technologies only money.once we given money they wont responded. Sorry to hear about ur case. I got RFE on september and my stupid employer(Ardent technologies INC) Responded on dec and case was approved on Feb 2016. As per USCIS, All the Visa expenses should be paid by the Employer only. Company wants you to work there as they are not able to find skilled resource for that particular Project there in US. If you are paying to some company means you are doing Fraud with USCIS. That’s the reason your Visa is Cancelled. For all other readers, It’s a Big risk if you are going via Consultancy. You will loose your current job and money both. If u have H1b visa and. U can try another company in US provided if they havenot can cancelled ur h1 b visa. My visa cancelled with comments(VISA CANCELLED WITH PREJUDICE pursuant to 22 cfr 41.122(h)(3)/(4) of the INA) and in the passport next page one more stamp is there(Application for admission withdrawn W39007). Am not sure what is these comments. 1.can i transfer my h1b to another employer? 2.or can i apply to new h1b? As it was canceled with prejudice it may be accompanying a ban of entry to US. You should talk to a good immigration attorney to explore all your options. 1. If my transfer gets denied does it mean I lost my h1b completely or it is still active with tcs ? and I can travel anytime with tcs ??? There is no impact of existing H-1 petition/stamp in case transfer is denied. Is it necesaary tat A has to give no objection letter ? No letter required from A when doing this. Can some one mail to corporate about this frustrating H1B process .. its really very dead slow in knowing the status in TCS . No response from fdfu or visa team . My employer is saying that I should be still hopefull for my h1b to be picked in lottery as they haven’t received any rejection yet. My employer told me to wait till June last week. Saurabh / admin, should I be still hopefull ? I don’t think one should be hopeful about getting the receipts now. My application was picked in lottory. I have following question. I went to Sweden last year for one month on work permit. When I submitted my details to my employer for H1B visa I have sent the passport with balnk page by mistake (Passport details sent before Sweden travel) . Note: Since it was work permit for Sweden there no stamping on passport. only arravial and departure informtion avialable on passport. Will it be any issue during visa interview? e.g Hyderabad it’s 2 month. Please quote for other locations. You can travel to Dhaka or Colombo consulate. Wait time is 2-3 days there. I have approved H1B petition (Not yet stamped), there is amendment required for location change. 1. Can we apply for Amendment & paralelly apply for PA date to save time. 2.Can we appear for PA any consulate location..?? e.g. Kolkata,Delhi,Hyderabad Channai. 3. Hw long amendment take..?? 1. If you intend to carry new location documents for stamping like client letter etc, then it is better to get the amendment approval and then appear for stamping. So your amendment should be approved by the time you appear for stamping. My employer raised an SR last week and received a denial on Monday. The status on uscis website still shows as pending case-reply received. Looks like Uscis is not updating the website even after the decision is taken. Good luck to all those who are waiting. Even I had applied last year (EAC & RP). And it is in RFE received status from September 3rd 2015 !! When i ask my employer they r replying stating they r following up on it but i dont think they r really doing it. When I asked about raising a SR they said they have raised it and uscis replied to it saying we r working on it. Does uscis give such generic statements when an SR is raised? Someone suggest me a way out of how can get my case to be taken for evaluating? Does anyone have any information about the backlog cases deadline? On an average how many cases are the similar as mine? You can try premium processing to get the result within 30 working days. Its too long waiting , but it will cost you around 1225$. There are some handful of cases that stay in processing for such a long time – most of them are in security review. You can upgrade to PP and that would force USCIS hands to tell exactly what is happening w/ the petition. And yes, they can provide such general responses to raised SRs. But how to whether the case has went under security review or not? Is there any particular request to be raised for it ? And any idea of how long the security review would take and will there be any chances of getting a positive result for the cases that go under security review? There is no set processing time for petitions stuck in that review. If you upgrade to PP and it is stuck in security review, then USCIS will have to inform the same. If not, they would adjudicate within 15 calendar days. That’s why I said it is forcing USCIS hands to show where the delay is. I am in the same boat and know of 2 other folks who are also waiting. EAC/RP, response to RFE received on Oct 2nd. Those who are waiting are from some consultancy or the other. There is no response from the consultant nor does he want to follow up. Guess its game over. My employer(mid sized company) sponsored H1B for me last year(EAC). My petition is in RFE since last year and when contacted month ago, my employer notified me that out of 4 applied cases two were approved and they are awaiting for the remaining including mine. Recently, I contacted them and they mentioned results could be known anytime soon since they see the activity in backlog. I am confused about what activity could be visible to them or how sooner can I get to know the result. Greatly appreciate your advise regarding this. Thank you. Even I am not sure what activity he is referring to. He may be referring to blog posts/comments where others from FY-16 have mentioned about their petitions getting processed after long delays, but not sure if this is what he is looking at. Unfortunately, there is no SLA for RP. You have the option to upgrade to PP. Also, when you say status is in RFE, is it RFE issued or RFE response received? What was the RFE about? Details are not being disclosed so I really don’t know whats the current status. I would suggest working on alternate plans as well. If this petition gets approved then it’s good for you, but at least you won’t be delaying your career based on this black box.